Chasing the Carrot on a Stick? When I was in elementary school, my parents said to me, work hard for 6 years and you will graduate with flying colors. Once I graduated from elementary school and joined middle school, my parents said, “just” 4 more years of hard work and you will get admission in a good high school. Now I am in High School and my parents are telling me that it is the next 4 years that are the most critical for a great future. They tell me that I need to work hard in order to get admission in a good college. They further paint a rosy picture saying that once I am in college, if I continue to work hard for “just”, 4 more years, I will graduate with good grades and will be on my way to land a high paying job and a great future ahead. I have begun to wonder, that the great future that my parents talk about, seems to be like an elusive dream, which continues to move further and further as I continue to reach each milestone. When am I supposed to enjoy life? Great future seems elusive. When am I supposed to enjoy life? Your question conveys that you are desperately seeking real happiness. And it is also evident that you have not yet achieved it, despite following the guidance and instructions provided by your parents. Let me start by assuring you that you are not alone. Most of us find ourselves in the same boat. There is so much diversity in the world; There are 8.4 million species of life. One of those species is human beings. There are over 7.7 billion human beings on this planet earth and amongst all humans, no two are identical. We all look different, have different intellectual capabilities and even have different thumb impressions. However, there is one thing that is common amongst all human beings and that is: everyone desires for happiness, without being told or taught to do so. This phenomena of desiring happiness and happiness alone is not limited to humans alone. Every living creature, from a small ant to the creator Brahma, desires nothing but happiness. Vedas provide us the answer to this Why? The individual soul is an infinitesimally small, eternal and inseparable part of God i.e. Bliss. It is also a known fact that every part or fraction, always strives to become one with its whole. Hence being a fraction of Bliss, we constantly desire to be one with Bliss and will continue to do so, till we achieve that permanent, everlasting Bliss i.e. God. “We cannot cease to perform actions, even for a fraction of a second. Why? Because all our actions are geared towards the singular objective of attaining bliss and till such time as we attain that bliss, we will continue our quest to achieve that bliss. From time immemorial, all human beings, have been on this quest to attain bliss…our ancestors, parents everyone. Being our well-wishers, our parents want the best for us and hence continue to ask us to work hard, study, get good grades and continue to progress on the path of achieving happiness based on the path or methods used by and known to them. The anomaly being that the definition of true happiness is not properly understood by anyone. Due to ignorance, we continue to look for happiness in this material world, while that true ever increasing, everlasting, ever new happiness is Divine and can only be attained, by attaining God. go gochar jahan lagi man jaee . so sab maaya jaanehu bhaee . "The reach of the senses, mind and intellect is limited to the material realm only." Since our mind is material, it has a natural affinity towards material people and material objects. Our material mind continues to guide our material senses to collect material possessions in the hope of achieving true happiness. Our mind being material, does not easily accept the fact that God alone is Happiness and that there is no happiness in this material world. 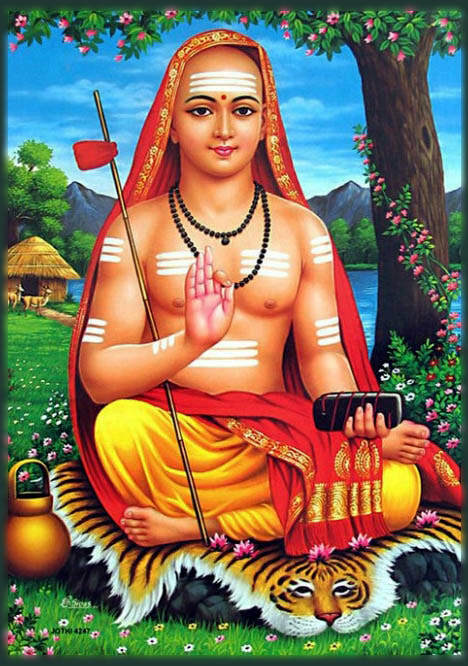 Being under the influence of Maya, material beings are afflicted by avidya (see panchklesh), which means ignorance. Due to ignorance, material beings believe in the following 4 myths. Consider temporary as permanent: This world came into existence one day and will be annihilated one day. Just like the world, everything in this world is temporary. For how long will a person or object exist, is also not known to anyone. Yet we continue to toil to accumulate material possessions and to preserve them. Eventually, all material possessions tend to perish, causing us grief and anguish. All this misery is because of one myth that the accumulation of these temporary things will give us permanent happiness. Consider unreal as real: All living beings maintain physical relationships with their mother, father, brother, sister, son, daughter etc. We consider these bodily relatives to be our permanent everlasting relatives. This is another great myth. 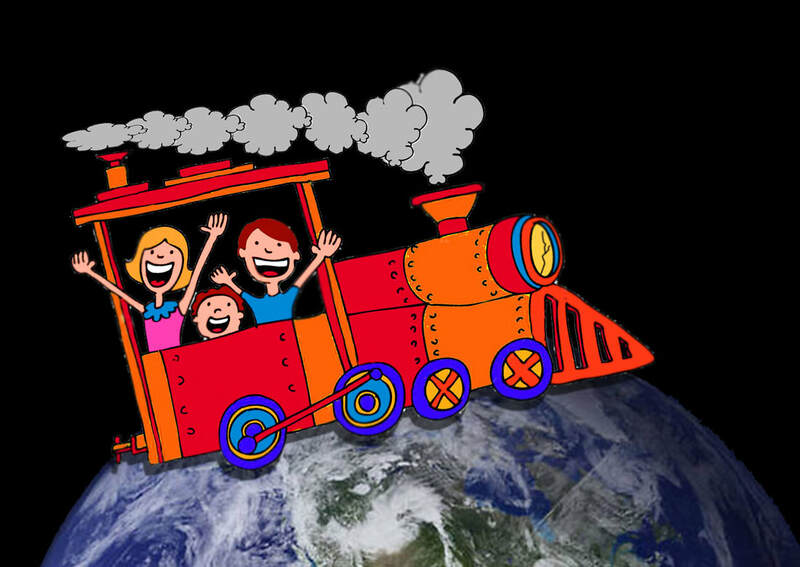 This world is like a passenger train, with a lot of co-passengers traveling together. The passengers interact with each other, only for the duration of time that they are on the train. The moment a passenger reaches his/her destination (indicative of death), they alight from the train. Due to ignorance, we consider our fellow passengers to be our relatives and expect to enjoy their company forever. Therefore their departure from the world makes us miserable. The Sanskrit word for relation is sambandh (संबंध). This is made of two words; Sam (सम्) means complete and bandh (बंध) means bond (see the article “Our Real Relative” in 2017 Sharad Poornima Issue ). The real meaning of the word relative (sambandhi संबंधी) is ‘a person with whom you have a complete, thorough bonding’. A complete thorough bonding does not exist in any material relationship. For example for a person to be a true relative (with complete bonding), that person has to be related to you as your father, mother, brother, sister, uncle, aunt, spouse, child, all at the same time. Such a comprehensive relationship does not exist with any one person in this world. No one can be with someone at all times. People arrive in this world at different times, and while on this earth, lead independent lives and routines. Finally they depart from the world at their own predetermined time. Even if they die together, after death each person goes to a different destination according to their own actions. No one is a true well-wisher for anyone. It can be argued that parents, are the closest relatives, who always look after their child. But only until they hope to get a favorable response from their child. If the child is disobedient and hostile towards his parents, they sometimes disown their own child. Likewise, all the relatives and friends are favorable, only until their own interests are fulfilled. “Till the time one is alive, family members enquire kindly about his welfare. But when the vital air or Prana departs from the body, even the wife is scared of her husband’s corpse”. So, think deeply about this knowledge. “Who is your wife ? Who is your son? Indeed, strange is this world. O dear! think again and again who are you and from where have you come”. Everyone tries to impress the other person with their fake behavior. Fake behavior being,“I want to please you”. If and when the true intent behind one’s loving-behavior is exposed, we tend to get detached from them. Everyone wants their own happiness and expect to get it from others. Love lasts only as long as the expectation to get happiness is there. As the expectation does not get fulfilled, the temperature of love starts stepping down, at the same pace as the pace of unfulfilled expectations. Eventually the person who was once the closest ally, starts looking like an enemy. Thus, no material being can be anyone’s true well-wisher, since everyone is looking for their own lasting happiness. Thus there is no real relative in this world. Consider non-spiritual entity as spiritual: The main reason of this myth is, we consider “I” to be this body. The body is made up of the 5 material elements (see Panch Mahabhoot). In reality, “I” means the soul and this body belongs to me (i.e. the soul). The soul is the master of the body and desires for “its” happiness. The soul has at its disposal the intellect to help find “its” happiness. The intellect however is material and does not know any better than finding happiness in the material world. So the root cause of ignorance is considering this body, a material, non-spiritual entity to be “I”, the spiritual entity, thereby considering all bodily relatives to by “my” relatives and all objects of sensory gratification to be objects of “my” happiness forgetting all about the real divine happiness, which is GOD. Thus, our aim to look for happiness is right, but the area in which we are searching is wrong. Hence, despite our constant search of happiness, happiness still eludes us. Consider miseries as happiness: Due to the myth that happiness is a material entity, our mind has become so deluded that it firmly believes that achievement of material matters is the source of our happiness. The reality could not be further off – the desire to obtain material matters is the source of pain and suffering. Achieving the objects of our desires, gives rise to greed and failure to achieve the objects of our desire leads to anger. Thus, the desire for material objects, leads to one of two outcomes – greed or anger, which in turn give rise to other mental distresses like jealousy, wrath, avarice and ego etc., which are even more agonizing. Because we have only one mind and if that mind is occupied with negative feelings, then it is obviously turned away from God. That is the greatest loss since God alone is the exclusive source of divine bliss. That’s why each material gain is eventually the source of miseries no matter what we achieve. “When I shower my special grace upon someone, I deprive them of their material wealth”. “O Lord of the Universe ! I beg You to give me sufferings at each step of life, so that I may remember you at all times”. Though the parents are well-intentioned, they guide their children towards attaining happiness according to their understanding of happiness and the way to achieve it. In most cases, parents believe that happiness is synonymous with material happiness and help guide their kids towards the attainment of material degrees and other pursuits. Some parents who have a spiritual inclination provide their children the opportunity to listen to the teachings of God-realized saints and practice devotion. Although academic education is immensely important, the knowledge which leads us to God is indispensable. Material education is of no use if it does not lead to spiritual progress. Even the most learned person cannot be at peace without practicing true devotion. So my suggestion is to follow the instructions of your parents for attaining material knowledge to lead a comfortable life, while focusing your mind on God. 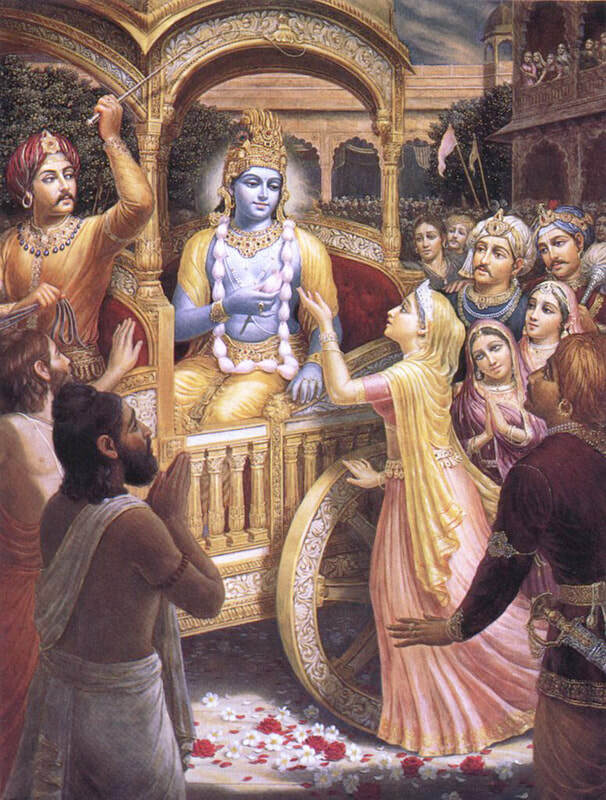 This is what Lord Krishna said to Arjun, “Arjun remember Me all the time and fight, as that is your duty”. It indicates although the chief goal is to remember God yet performance of worldly duties is also necessary as long as it does not hinder remembrance of God. “Each and every action (conversation, donation, eating etc.) should be performed with the singular objective of pleasing Him". Do not perform any action that would displease your Lord. While, performing any action, feel the presence of Shri Krishna as if He is watching you, smiling at you, talking to you or you are serving His lotus feet. O mind! This world can be compared to water. Any amount of churning it, is mere labor, as you will not obtain the reward of clarified butter that you would get from churning milk.